It’s that time of year, when all things are new again, when magically you remember you have a chance to reset the clock and start with fresh resolve. We know of course that the resolve, many people have for their resolutions, weakens within weeks and habits formed over previous years storm back to take control. Your different though and we know you want to make 2016 even better. Your website needs it’s annual cleanse, purge, detox and reset just like your body. Much of this is true for a website using any CMS but I want to focus in on the nasty, prolific fatty habit so many of you have with your WordPress sites. You know you can’t help it, it sneaks up on you when you think you are going to stay true to the cause, but there is that blog post mentioning that really neat new plugin and it sounds so delicious and so tasty. So you take a bite. Oh god, now you’re all in. It’s installed, you activate it, and nothing appears to have broken. You smirk, knowing no one knows (yet), you haven’t told your developer, your host, pfftt they don’t care (for now) it’s just one plugin. How much harm can it do. Time rolls on your site chugs along, occasionally it feels a bit heavy, slower than maybe it should be, but generally it turns up every day and fulfills its role. Then you get that call. The developer has seen it, and wants to know what its for. You agree it’s probably not needed, you just wanted to try it and so you/ they deactivate it. It still sits there in the bowels of your site, clogging up your plugin screen, needing copious updates (hopefully) never doing anything much. Along side it are all the active plugins, that supposedly you need, your site needs. Weighing it down, bloating it, making it run a little slower (maybe). But we have a chance to detox now. You can do it. You know you can. It’s a New Year. Get off your old sweet habit, find out if you really need that plugin. Does it improve your business, has it even been updated, is it’s code worthy of your fine body (oops) I mean website. It’s time for a cleanse. Yes it can be hard. You know you have to think of the end results. Well it isn’t true entirely that the volume of plugins you install necessarily harms your site. You can consume many wordpress plugins without too much noticeable performance problems, however sometimes what it says on the box isn’t necessarily accurate for what’s inside. Note all plugins are equal. Some are written extremely well and only use memory and other resources when they need to. The nasties they look good, they have real visual appeal but inside they can be hogs that pollute your system and make it run terribly and they are stuck in there until you get treatment. A well performing site only uses what it needs to, to get the job done, and ideally it uses the bests options in doing so. That’s hard for you to know on the service so let’s make sure you do a little New Years cleanse and see if it doesn’t help your functioning. If nothing breaks and no noticeable problems arise, remove it. Be careful though, if you delete something you aren’t sure of and key information is lost you will need to get a wordpress surgeon to restore the site and that can be painful some times. And of course if you don’t feel you have the muscle to do this yourself call in a professional team (like us) to do the cleanse for you! 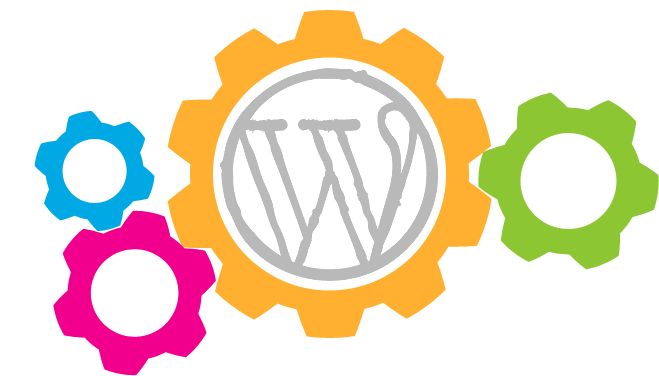 What should a WordPress website cost?